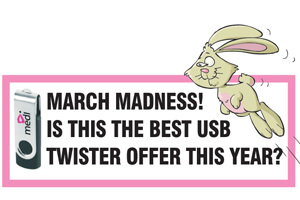 The best selling Twister USB drive just got even better with our fantastic double memory upgrade offer – place your order before our Mad March deadline of March 31st and we will double the memory and upgrade you to the next memory level at no extra cost! (8gb is our maximum upgrade, with 8gb sticks all priced at the lower 4 gb price). ANY COLOUR YOU LIKE AS LONG AS IT’S YOURS! 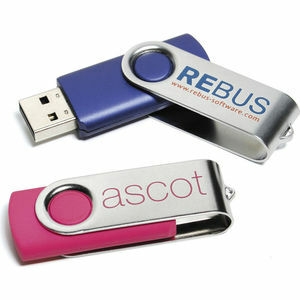 And if that’s not enough, we will customise the USB with your logo in up to 4 spot colours on one side, and we will pantone match the USB body to your brand or logo – then add free origination and free delivery - all included too – and if you want to pre-load data onto your USB, we will preload up to 20Mb of data at no extra cost - the only extra on this great offer is VAT! Call us FREE now on 0800 731 4715 or email letstwist@publicitycentre.com and we’ll be happy to confirm costs or help with any query you may have. All costs include pantone matched body, print up to 4 spot colours, origination, delivery and, if required, data pre-load up to 20Mb. 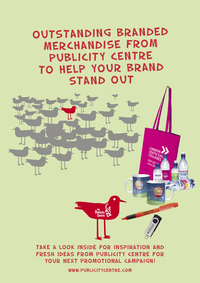 All prices INCLUDE Artwork, Origination & Carriage, only VAT is extra!